Lürssen, the German superyachting behemoth, has announced the appointment of Michael Koppstein, formerly of Royal Huisman, as its United States (US) promoter. Koppstein has been appointed to promote Lürssen’s brand interests in both the North and South American superyacht markets. It is expected that Koppstein’s 25 years of experience as Royal Huisman’s commercial and technical representative in the Americas will prove invaluable to this process. After graduating in Engineering Design and Construction at the Institute of Technology in his native Australia, Michael drew upon both his weekend hobby and his academic training to forge a lifelong career in the yachting industry. As a professional sailor, Michael has logged some 200,000 nautical miles that included many offshore regattas culminating in an extensive 4-year circumnavigation whilst working as a captain. 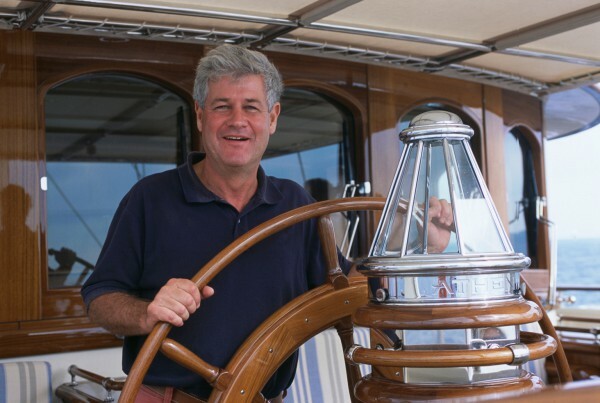 Michael served a brief tenure with Ron Holland Design before accepting an invitation from Wolter and Alice Huisman in 1992 to become the Royal Huisman yard’s technical and commercial representative in the USA.?? “Michael is a highly respected and well-known personality within the worldwide superyacht industry. Michael will help us to bridge the distance between our shipyard here in Bremen, Germany and the important US market,” explains Lürssen’s sales director Michael Breman. “His significant experience in yachting and his passion for the yacht builder’s craft makes him the right person to support us at this time. We are delighted to welcome Michael to the Lürssen family.”?? Breman’s choice of word, ‘passion’, was echoed by Koppstein who says that it was the Lürssen Group’s passion for superyachting and the family atmosphere of the company that encouraged him to take this next step.